This heartrending tale about a baby elephant’s life in chains helps children as young as three feel what it’s like to be forced into servitude. Demelsa Haughton’s adorable elephant images combined with Nicole Godwin’s text create a palatable tale of suffering, injustice and hope that young children can understand. Stolen from her mother, baby Ella is forced to comply with her owner’s demands. She poses for photos and learns to paint but the chain around her leg obstructs her freedom. Ella dreams of finding her mother and of having a full stomach. With only one friend in the world, Ella she manages to escape. Her journey is fraught but it is worth hanging in for the upswing. Although young children will find the ending a satisfying relief, adults will dwell on the deeper truth that not all elephants are as lucky as Ella. 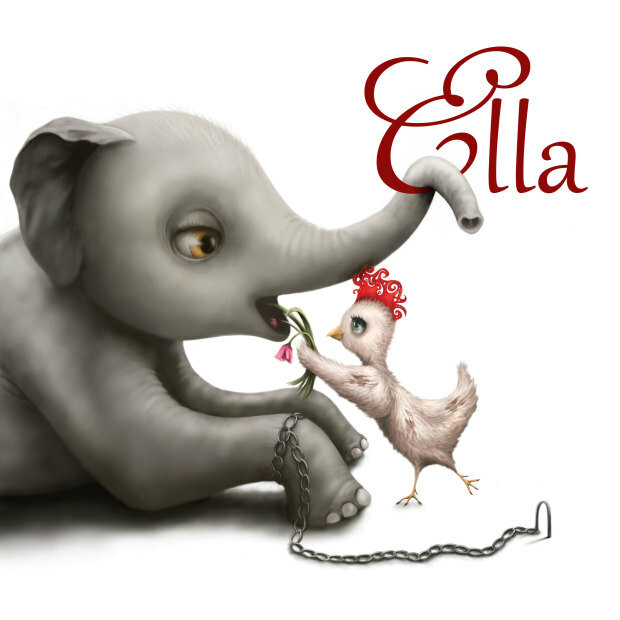 Ella is an important pioneer tale for young children, who are never too young to become champions for justice. I hope Nicole continues her crusade with many more irresistible books to join Ella on our bookshelves. A portion of every book sold goes to elephant sanctuaries. You can find out more and order your own copy at www.tuskbooks.com or find the book at Dymocks in the ACT and QLD.